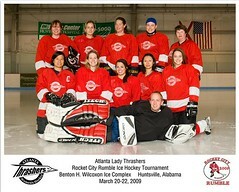 The Atlanta Lady Thrashers will play a rare weekend game this Sunday, April 27th at The Cooler in Alpharetta. The puck drops at 5:15pm. Admission is free and all are welcome! 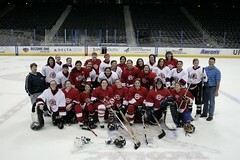 Come watch Atlanta’s only women’s hockey team in their last intra-squad scrimmage of the year and meet the players after the game! 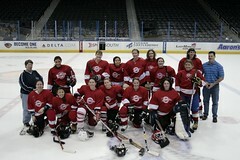 Previous Several Lady Thrashers Participate in USA Hockey Nationals! Next 2014 Fall Lady Thrashers Season is Underway!